The red heartwood of beech is responsible for decreasing the market value of the most important deciduous tree species of central Europe. The aims of this study were: (i) to verify the hypothesis that stand age affects the occurrence and metamorphosis of red heartwood in beech; and (ii) to quantify the economic loss due the sale price reduction of timber affected by red heartwood. Seven even-aged beech stands of different age (87, 100, 105, 110, 115, 132, and 145 years) were selected in Slovakia, and 213 trees were cut into 961 pieces of assortments which were evaluated for the presence, form and extension of red heartwood. The economic loss caused by red heartwood was determined as the difference in price between the actual and the potential quality grades of assortments. The results confirmed that stand age significantly influence the occurrence, development, and metamorphosis of red heartwood. The average loss in timber sale price caused by red heartwood varied between 0.76 and 28.04 € m-3, depending on age and form of red heartwood, with more severe losses in stands older than 110 years. To reduce the incidence of beech red heartwood in Central Europe, a reduction of the rotation period should be considered, as well as the adoption of suitable silvicultural practices in aged beech stands. Research concerning the development of red heartwood and its influence on beech wood sorting. Bulletin of the Transilvania University of Brasov, Series II - Forestry, Wood Industry, Agricultural Food Engineering 3 (52): 11-16. Price list of the wood assortments. Forests of the Slovak Republic, State Enterprise, Website. Valuation and timber market in the Slovak Republic. Procedia Economics and Finance 34: 697-703. Potential, prices and resources of raw wood assortments for the pulp and paper industry in central Europe. Key Engineering Materials 688: 210-217. Inquiry in beech wood processing industry concerning red heartwood, Wood research 54 (3): 1-12. Predicting red heartwood formation in beech trees (Fagus sylvatica L.). Ecological Modelling 169 (2): 295-312. The pairwise multiple comparison of mean ranks package (PMCMR). R package, Website. Impact of tending measures on assortment structure of fellings in central Croatian beech stands. Acta Silvatica and Lignaria Hungarica 6 (2010): 171-182. 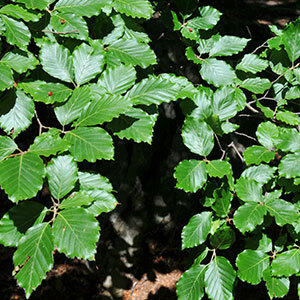 Methods and results of quantifying beech heartwood in Hesse. Allgemeine Forst- und Jagdzeitung 182 (7/8): 146-159. Qualitative classification of hardwood round timber. Technical Standard of Slovakia, Slovak Office of Standards, Metrology and Testing, Bratislava, Slovakia, pp. 20. Round and sawn timber. Method of measurement of features. Technical Standard of Slovakia, Slovak Office of Standards, Metrology and Testing, Bratislava, Slovakia, pp. 24. Hardwood round timber. Qualitative classification. Part 1: Oak and beech Technical Standard of Slovakia, Slovak Office of Standards, Metrology and Testing, Bratislava, Slovakia, pp. 12. Analysis of price changes of selected roundwood assortments in some Central Europe countries. Journal of Forest Science 58: 483-491. Financial optimisation of target diameter harvest of European beech (Fagus sylvatica) considering the risk of decrease of timber quality due to red heartwood, Forest Policy and Economics 6 (6): 579-593.